YES! Our classes meet for the school year, September through May. We also have a summer session, June through July. If you’d like to join after a session begins, tuition will be prorated. Can I change my enrollment? No problem. It is easy to change your enrollment. If your child needs to change classes, just email us and we will contact you to confirm the change. If you would need to take a break from classes, just give written notice to your child’s teacher by the 15th of the current month so as not to be charged on the 1st of the next month. Can I make up a class if my child is sick/sleeping/grumpy/out-of-town? Absolutely! We offer unlimited make ups within the session as long as enrolled. Make up books are kept in the waiting room and you may schedule your child’s make up in a class that has availability. We also ask that you cross your child’s name out in the make up book when you know in advance that you will not be in class. Do we get music for home? Affirmative. You will get to take home a CD every 4 weeks of classes. We promise hours of singing, playing, and cuddling at home since you are your child’s first and favorite teacher. Your online at home materials include all the award winning music we use in class, the book, developmental information, signing, and activities for you to use with your child that enhance what we are learning in class. Is there any hope for classes that say “wait list”? Yes! Spots open up, so don’t delay in adding yourself to the list! We’ll get you in as quickly as we can and won’t charge you until we do. Are you really “the best” choice for my child? 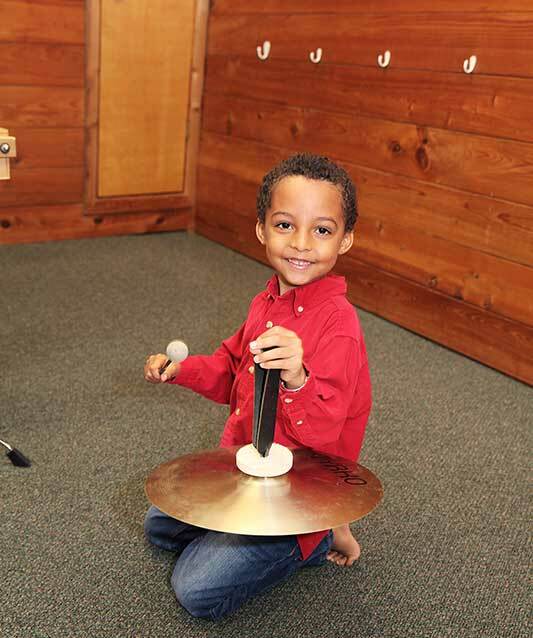 We offer the world’s leading curriculum—Kindermusik. We have been named a Maestro studio in the top 1% of Kindermusik studios for the past 14 years since the award’s inception. All teachers hold a music degree or an education degree with a music specialization. Together we have 55 years of Kindermusik experience. We have served the Brazos Valley since 1989. We believe in the power of music to change lives. "Kindermusik is a wonderful gift to give your child! The exposure to music at an early age is incomparable to anything else!"